We’re thrilled and privileged to have been at Buckingham Palace to celebrate HRH 70th birthday and his patronage to over 400 charities including Mosaic! We’ve been supporting the Prince’s initiative along with other charities, as one of our nominated charities for the last 6 years and remain active within its operation and in volunteering. Founded by HRH The Prince of Wales, Mosaic inspires young people from deprived communities to realise their talents and potentials. Read about the 10th Annual Mosaic Enterprise challenge here and if you’d like to become an Enterprise mentor please do share your expertise to help support young people! 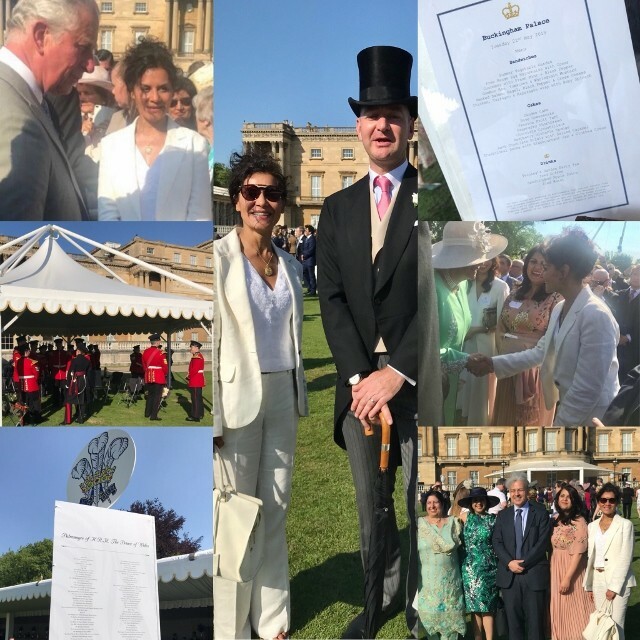 Today’s Garden Party celebrated the work of The Prince’s Charities, including the Prince’s Trust. Since it had been founded by HRH in 1976, the Trust has supported over 826,000 young people to live, learn and earn. The Prince’s Trust is a youth charity that helps change young lives. They give practical and financial support, developing key workplace skills, such as confidence and motivation. They work with 11 to 30-year-olds who have struggled at school, have been in care, have been long-term unemployed or have been in trouble with the law. They have helped more than 875,000 young people since 1976 and support 100 more each working day. More than three in four young people they helped last year moved into work, education or training.